Sometimes windows 10 update don’t go smoothly as expected and we are stuck with stuck downloads or unable to update loop kind of problems in windows 10 PC . If you find any kind of problems related with window 10 update process, you can try any of the given below fixes to fix the associated problems with windows 10 updates. 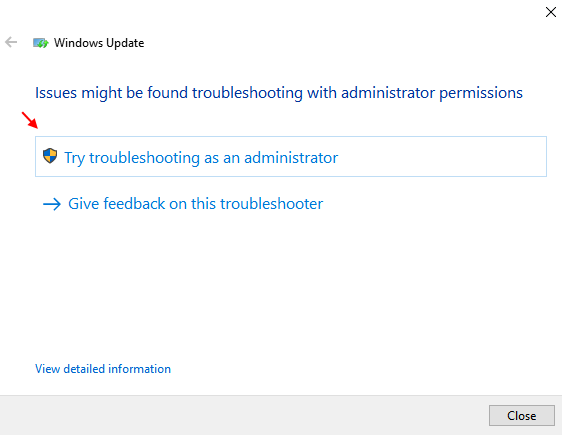 Windows 10 has its own built in troubleshooter to fix windows 10 update problems. It stops Windows Update Services. Rename the C:\Windows\SoftwareDistribution folder to C:\Windows\SoftwareDistribution.old , and deletes Windows Update download cache. 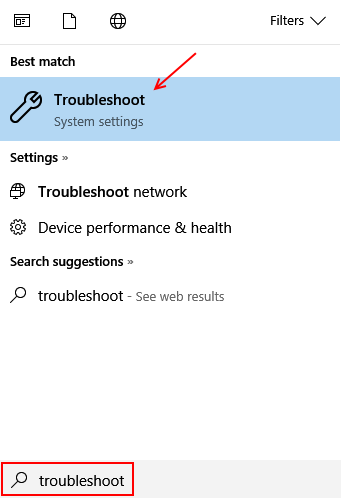 Step 1 – Search troubleshoot in windows 10 taskbar search box. Step 2 – Now, click on troubleshoot from the left menu. Step 3 – Now, click on windows update icon on the right side. Step 4 – Now, click on run the troubleshooter from the expanded option. Step 5 – Click on try troubleshooting as administrator. Most of the times the troubleshooter will find and apply the fix to the update problem. If it is unable to do so , it will point you to the root of the problem. Note : – If the problem persists, do the following.